Flavio Volpe, president of Canada's Automotive Parts Manufacturers' Association, is concerned about the affect new TPP will have in Canada. OTTAWA — Canadian auto parts companies and their unionized workers are criticizing an influential business group for urging the Liberal government to move forward quickly with a revamped Trans-Pacific Partnership free trade deal. They say Prime Minister Justin Trudeau was right to hold off on signing a renewed TPP last month at the APEC summit in Vietnam and that the government's critics of that decision are misguided. The presidents of the Automotive Parts Manufacturers Association and Unifor, Canada's largest private sector union, which represents auto workers and parts makers, say that's because the TPP is bad for the small and medium-sized auto parts companies and their employees. Flavio Volpe and Jerry Dias both say the Liberals need to go slow to undo the potential damage done to their sector when the previous Conservative government agreed to concessions in the original TPP that would have given Japanese car makers an unfair advantage in the Canadian market. Earlier this week, the Business Council of Canada sent Trudeau an open letter signed by 18 chief executives, telling him Canada must immediately join the reconstituted version of the TPP, which U.S. President Donald Trump pulled the United States out of in January. John Manley, the council president, said it was imperative for the Trudeau Liberals to join because Asia will move on without Canada at a time when this country needs to diversify its trade portfolio. But Volpe said the Liberal government has taken a "thoughtful approach" that benefits small and medium-sized companies and their employees instead of racing for the "trophies" that completed trade agreements represent. "It's not un-Canadian to try to get better terms before you get into bed with someone for decades," Volpe said in an interview Wednesday. "The U.S. is no longer in it, so there's no reason to accept terms when the context has changed." Dias said Manley represents the interests of the chief executives and large companies, not their workers. "It's about allowing corporations to do anything they want," said Dias. "It's about a philosophy of free enterprise, as opposed to putting Canadians to work." Volpe and Dias said separately that the previous Conservative government of Stephen Harper is to blame for agreeing to the original TPP deal during the 2015 federal election campaign. They said it was bad for their sector and was reached without consulting their industry until late in the process. "The TPP was about politics. It wasn't about economics. Harper was losing in the polls, he needed it as part of his election platform," said Dias. 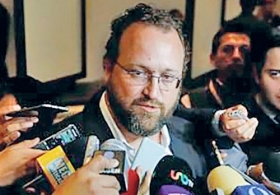 Japan and the United States agreed in secret in April 2015 on what the content provisions of automobiles ought to be and then "foisted" the agreement on Canada and Mexico, said Volpe. The Rules of Origin content levels were set at "historic lows" at 35 per cent for parts and 45 per cent for cars, which would have allowed cars built in non-TPP countries such as China and Thailand to flood the North American market, he said. The current Liberal government listened to the concerns of the auto industry and blocked a plan by the 10 remaining TPP countries to sign a newly-configured version of the Pacific Rim trade pact last month at the APEC summit, said Volpe. Trudeau incurred the wrath of Australia and Japan, who had been pushing the new, non-U.S. version of the deal. Lawrence Herman, a Toronto trade expert with Herman and Associates, said finding a way to eventually join the new TPP is vital to Canada's trade interests — but not at the expense of the auto sector. "We just need to be sure that any trans-Pacific deal recognizes that Canada, unlike the Asian parties, is part of an integrated North American auto market," said Herman. Scott Sinclair, senior research fellow with the Canadian Centre for Policy Alternatives, said the new TPP agreement is the same as the old flawed one, and the Liberals are right to be wary. "With the U.S. out, no Canadian-assembled vehicle can realistically meet the pact's rules of origin, which amounts to a one-way opening of the Canadian auto market," he said. "It will be impossible for the Trudeau government to honestly square this zombie pact with a genuinely progressive trade agenda."